Will you challenge the Devil's Die for your chance at an abundance of earthly wealth? It's five dice against one; surely you'll be rich in no time! 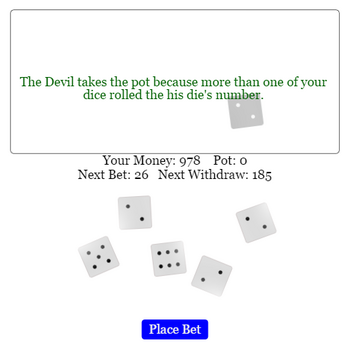 You place bets each roll, and the Devil matches your bet. 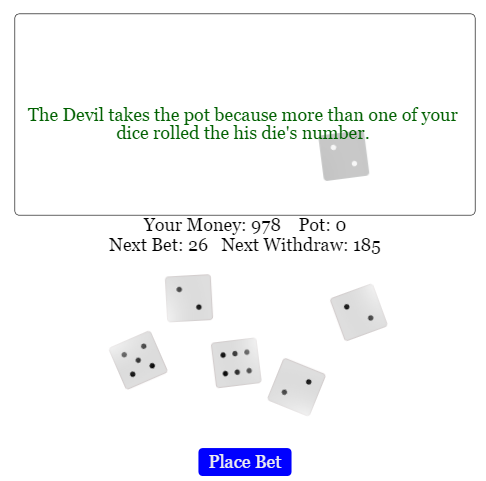 Both bets go into the Pot. 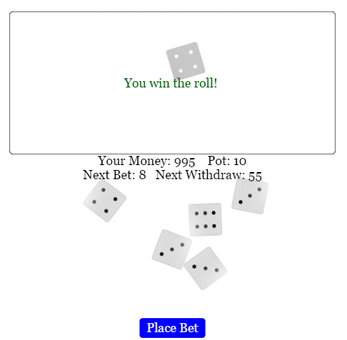 When the Pot reaches a certain Threshold (relative to the Bet and the Increment), then you take what's in the pot. NOTE: No real money is exchanged for use in this game. 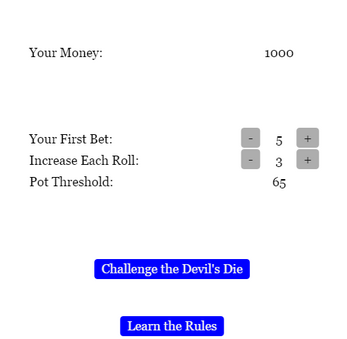 You begin with 1000 arbitrary "monies" that you can play with each time the game is refreshed.